What are the indicators for home and community based services? Discover the variety of home and community based services available to help your patients. How do home and community based services help my practice? Offer patients support on their journey toward independence. How do I talk to my patient about home and community based services? Important things to say when home and community based services makes sense for your patients. A brief overview of what Long-Term Acute Care provides for the patients of healthcare professionals. A helpful guide to understand the criteria for LTAC admission. A quick guide to hospice care. The physician’s guide to hospice referrals. A brief guide to help healthcare professionals know when home health makes sense for their patients. A form for healthcare professionals to have their patients complete in order to help identify a potential need for home health. 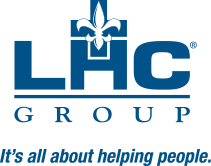 Hear about Coralie Vidirine’s experience as an Executive Director with LHC Group. Hear about Cheri Smalley’s experience as a Hospice Aide with LHC Group. What is Home and Community Based Care? ©2019 LHC Group, Inc. All rights reserved.